Creature was, then Hercules And Love Affair alumni, Kim Ann Foxman’s début release back in 2010. Released alongside fellow H&LA’er Andy Butler, the track is now getting it’s first vinyl release at the third release on Kim’s own new imprint, Firehouse Recordings. Back with a host of new reMixes, the Creature vinyl also features this updated mix of the tune from Kim herself. Prepare yourself of some deep Acid vibes. Like the original, Kim’s new reMix is an ode to classic House music, in this case moody, dimly lit, Chicago warehouse vibes. An enthralling seven minutes of undulating synths and burbling basslines, this reMix of Creature is a hypnotic and intoxicating affair, shifting and evolving over it’s length, from dark and growling Acid House to soulful and haunting electronica. A totally enchanting track set to a shuffling House beat. 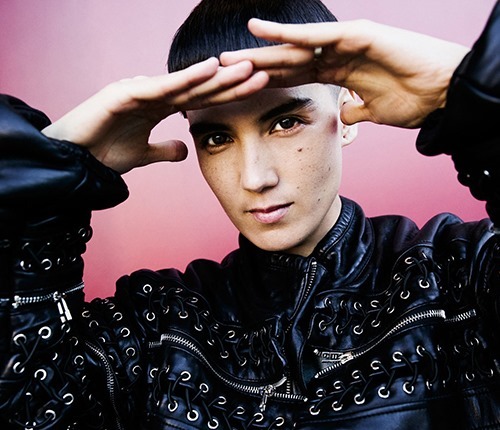 Kim Ann Foxman’s Creature is released on 15th June.